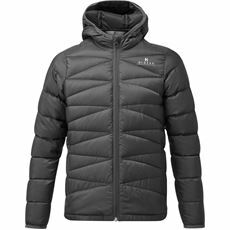 Designed for extreme conditions, down jackets are a thicker but equally practical alternative to traditional coats and jackets. With extra insulation to ensure that the heat from your body is kept inside the coat so you stay warm, our range of children’s down jackets are stylish, comfortable, practical and available in various great colours. These insulated coats and jackets have warmth and comfort in abundance making them ideal for children who love spending time outside whatever the weather. Browse the full range online or in your local GO Outdoors today.